Upset with "shaking image/video" taking by your smartphone? 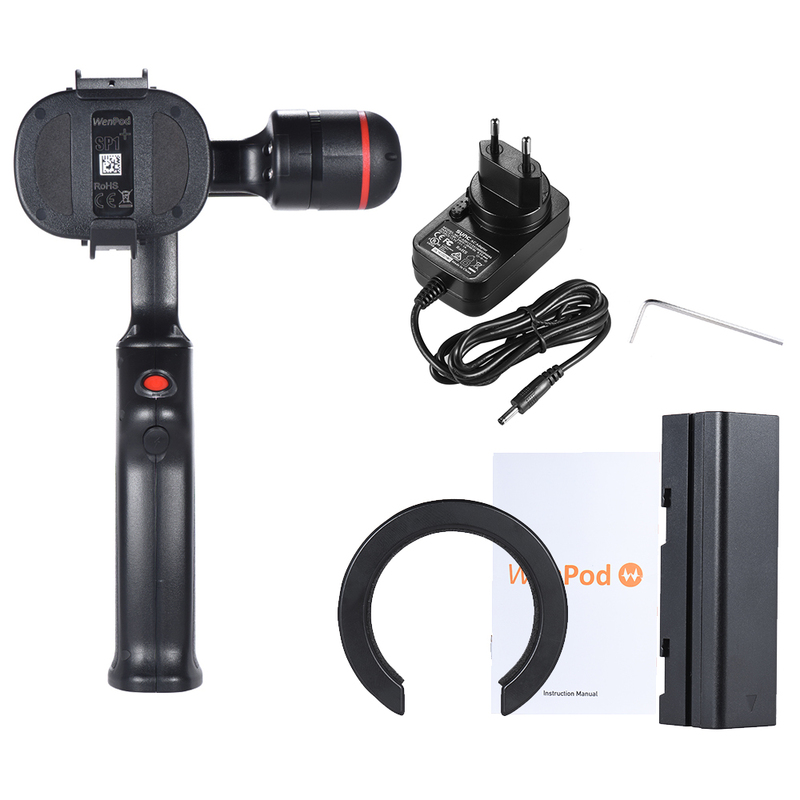 This WenPod SP1 handheld stabilizer can help you to create clear photography and steady as well as compelling video! 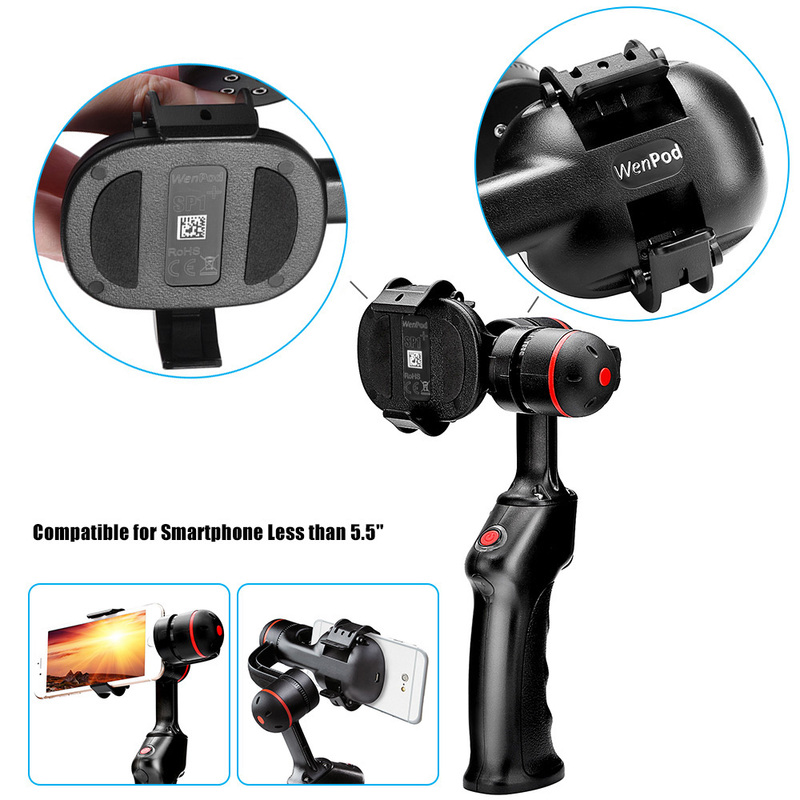 It adjusts your smart phone automatically to eliminate vignetting caused by shaking. 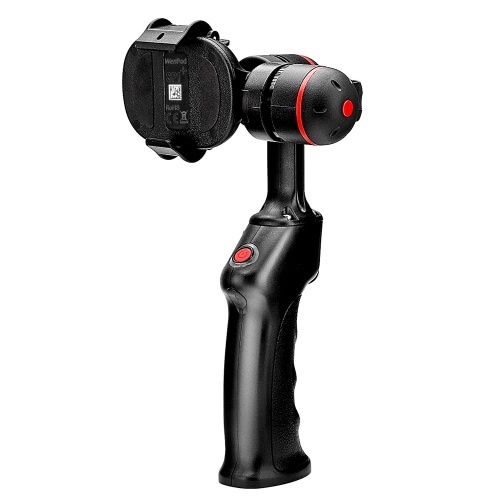 Press the joystick to roll your smart phone for low-position or high angle shootings. 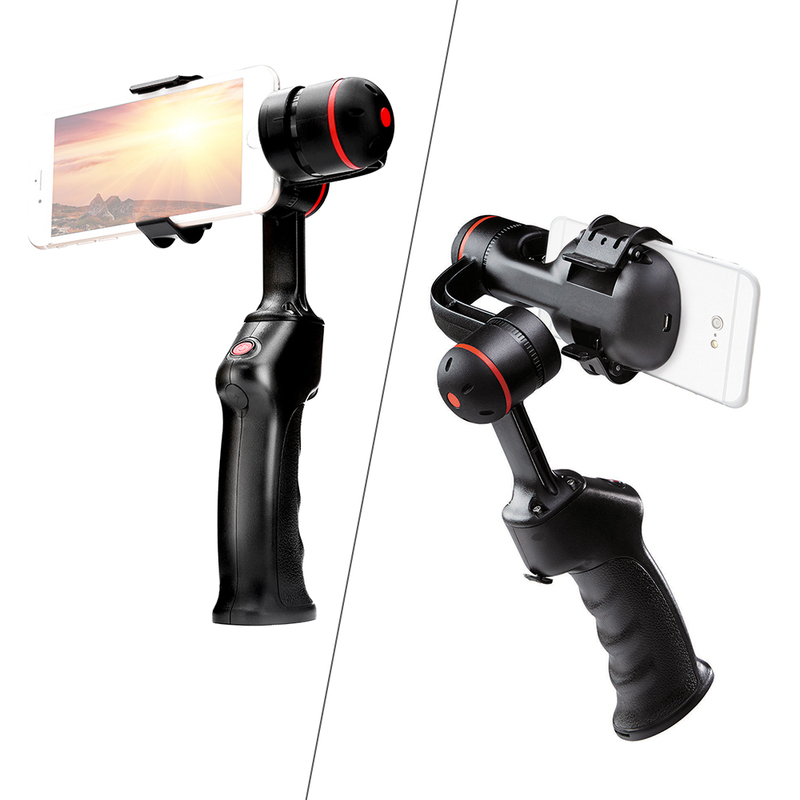 Pro 2 axis smartphone stabilizer with gyro, create steady and brushless dynamic shootings. Automatically adjust axis to eliminate vignetting caused by shaking or moving. Both vertical motor and horizontal motor can achieve 360 degree smooth rotation. 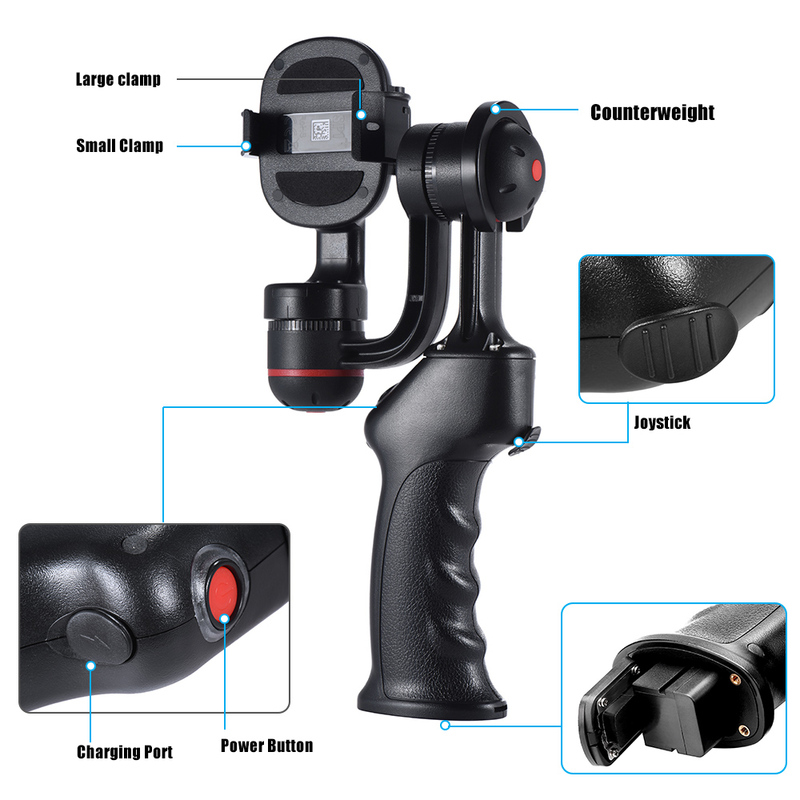 Press the digital tilt angle control joystick to roll smartphone for low-position or high angle shooting, easy to operate. 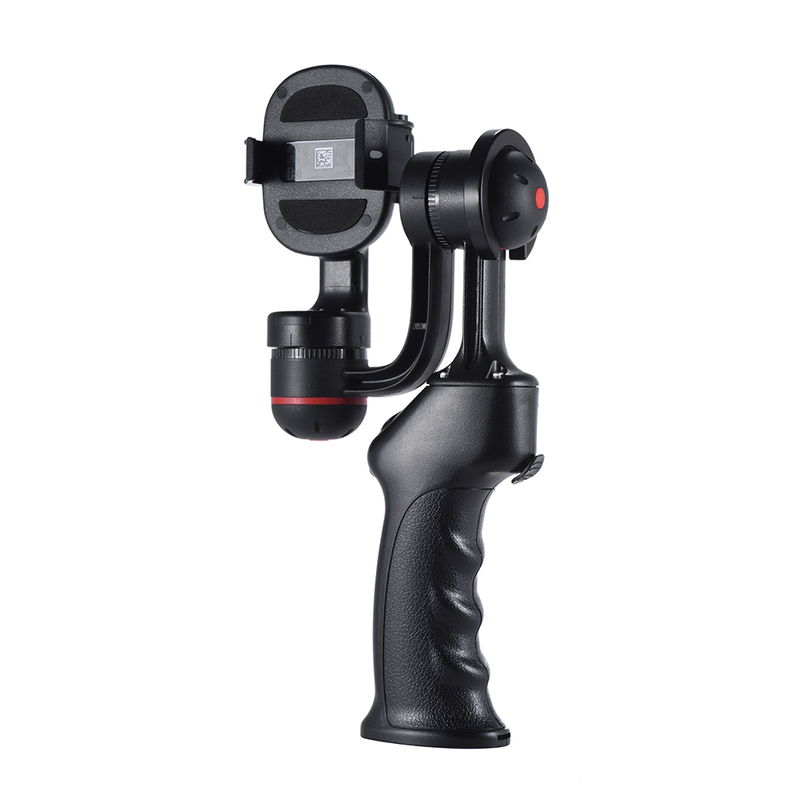 With multiple handing modes, such as pan-locked mode, follow-me mode and landscape mode, satisfy different shooting needs. With adjustable phone clamp, work well with smartphone less than 5.5", such as for iPhone 7/7plus/6plus/6 for Samsung Huawei and etc. Comes with a counterweight for balancing the phone weight. Compatible Phone Type: Smartphone Within 13.9cm/5.5"
Don's turn on the power without placing a phone on it. USB port is only for manufacturer maintanence use, please don't insert your USB cable in it.